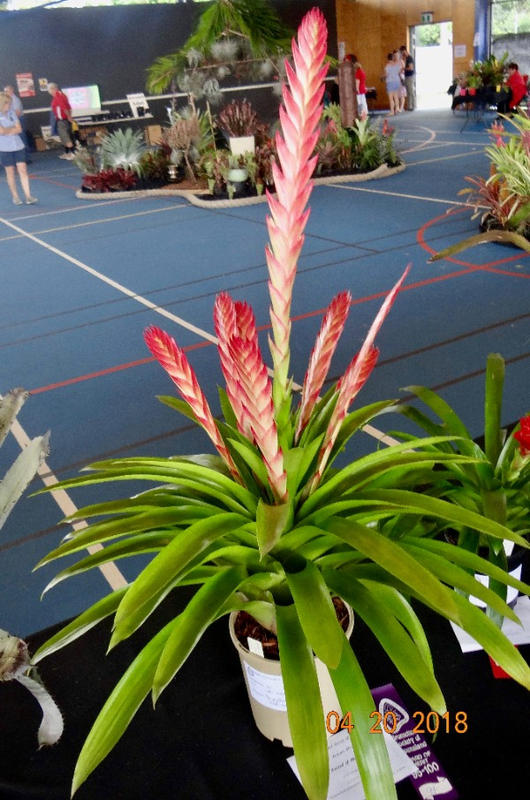 the Champion Bromeliad of the Show. 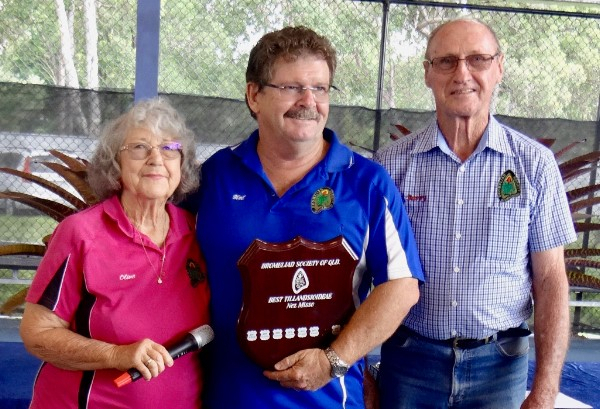 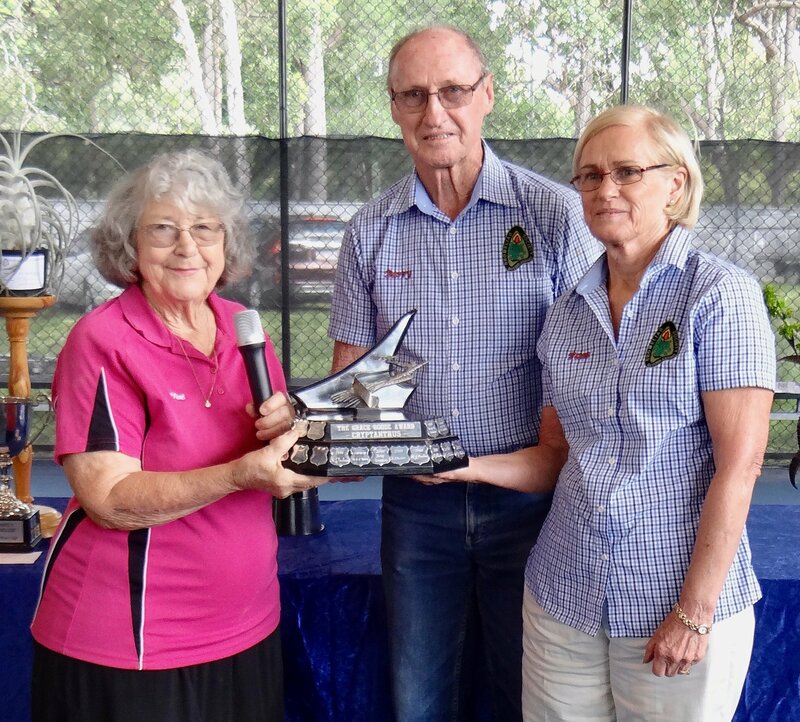 Awarded by Patron Olive Trevor and President Barry Kable. 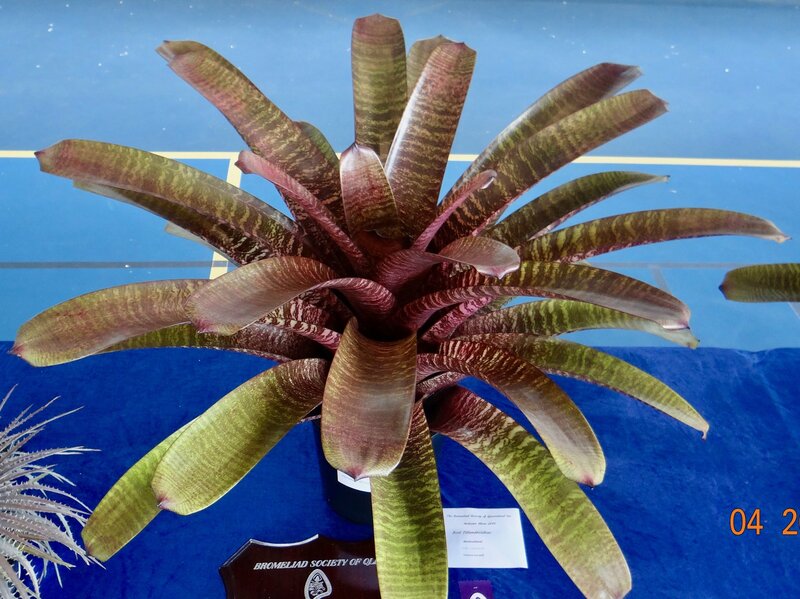 Vriesea 'Fellowship of The Rings was Reserve Champion of The Show. 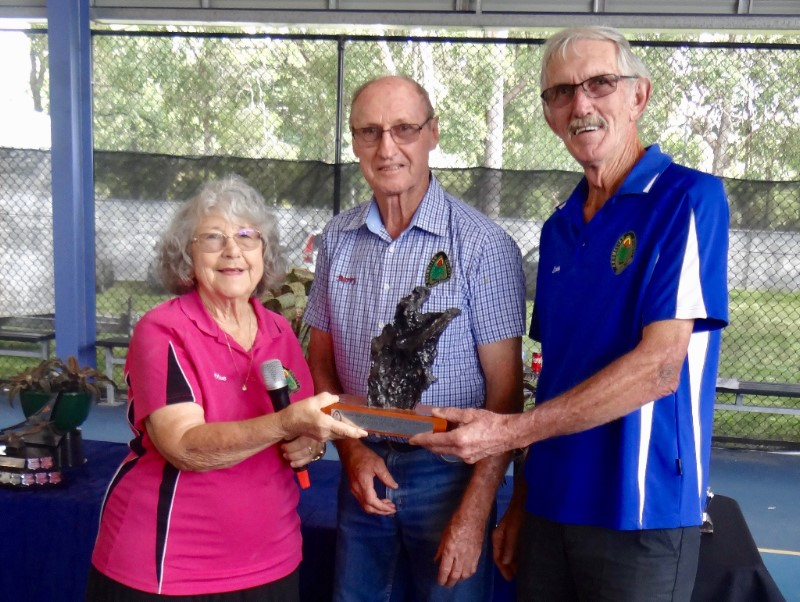 Len Waite won the Best Species Award. 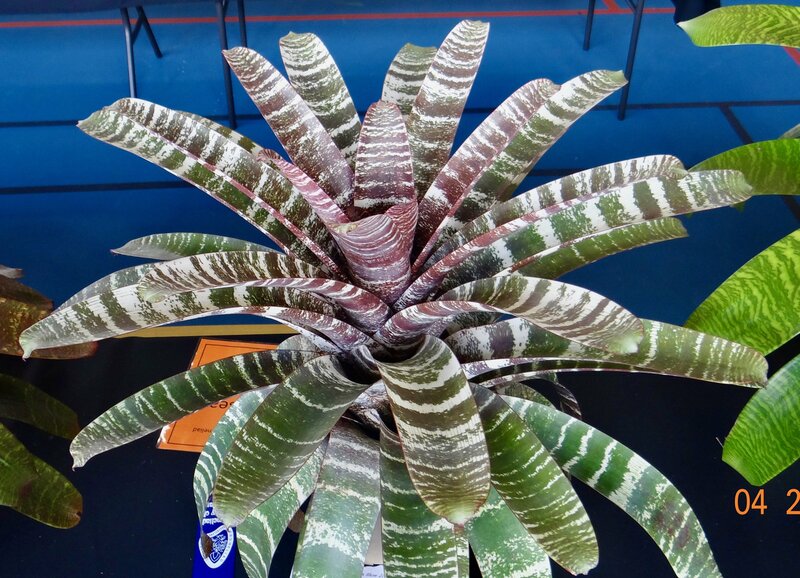 Orthophytum gurkenii got Best Species Award. 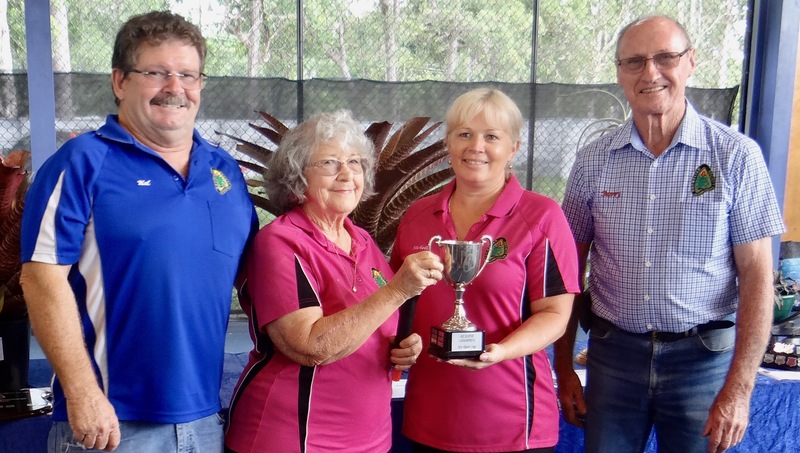 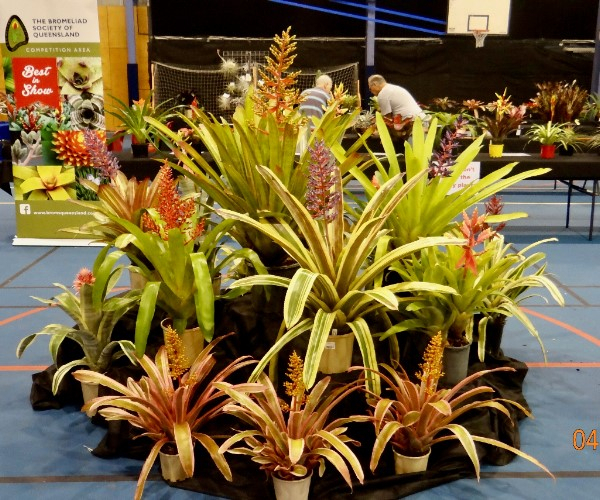 Len Waite won the Award for Best Bromelioideae. 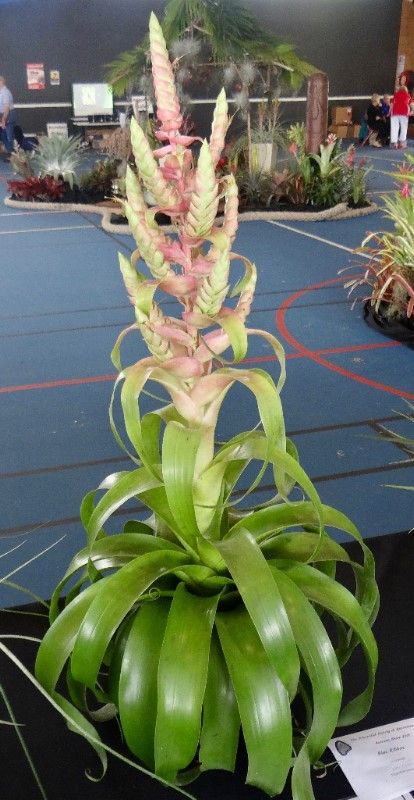 Quesnelia 'Tim Plowman' The Best Bromelioideae. 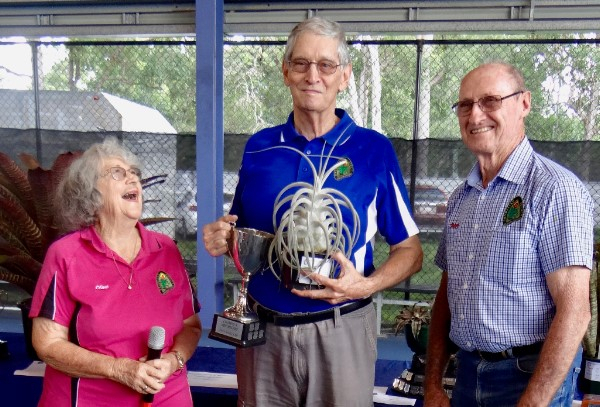 Mal Cameron receives Award for Best Tillandsioideae. 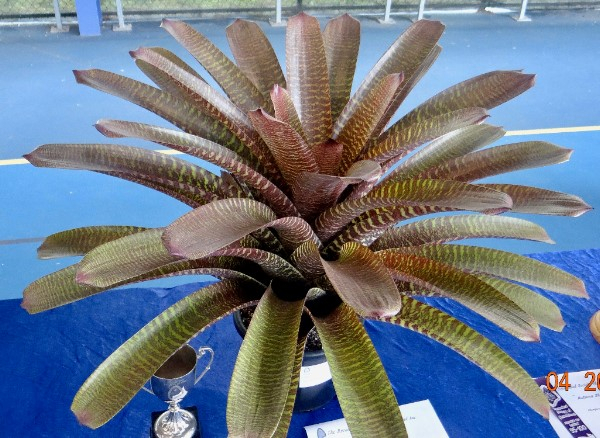 Vriesea 'Gandalf' won Best Tillandsioideae. 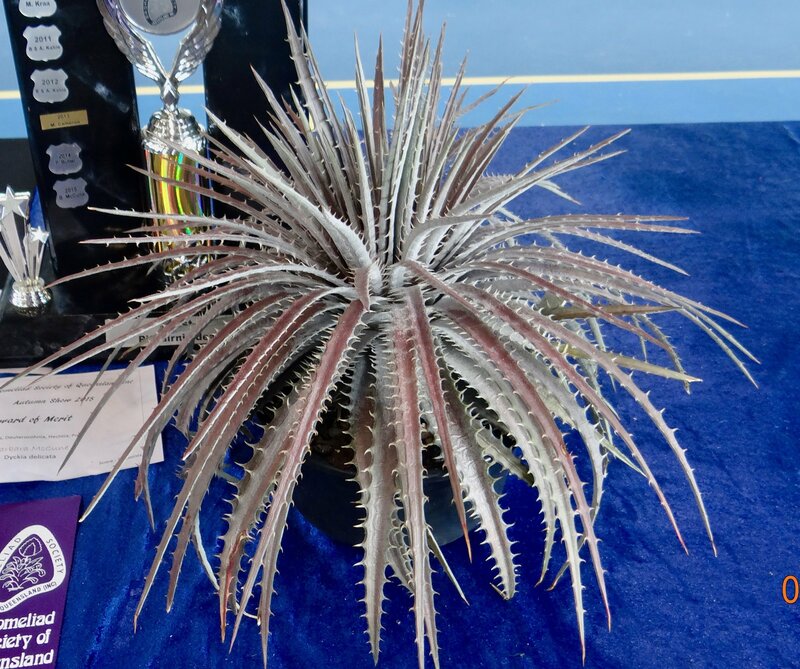 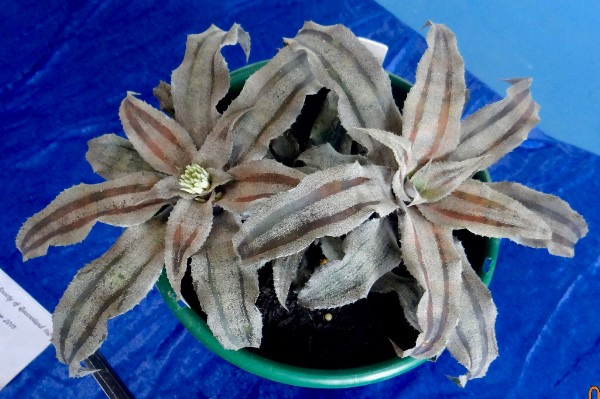 Barbara McCune won Award for Best Pitcairnioideae with Dyckia delicata. 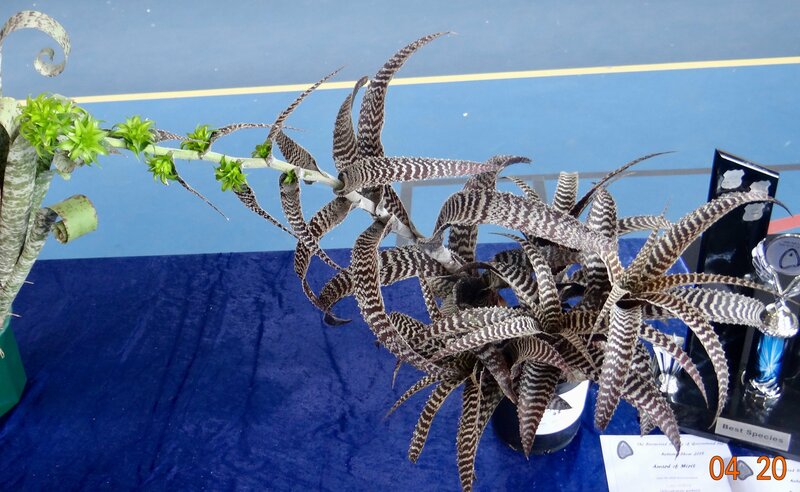 Dyckia delicata was awarded Best Pitcairnioideae. 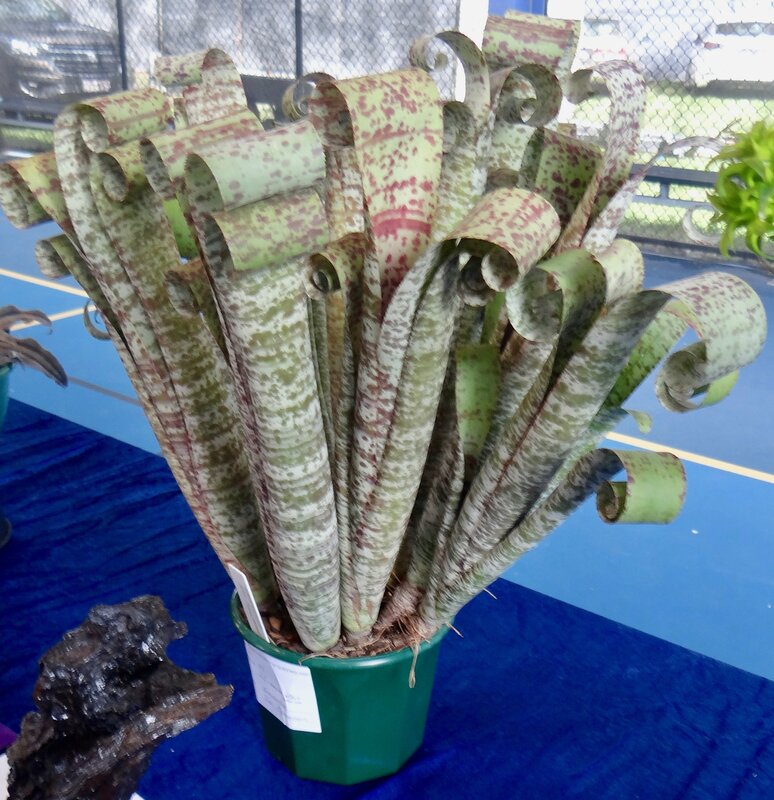 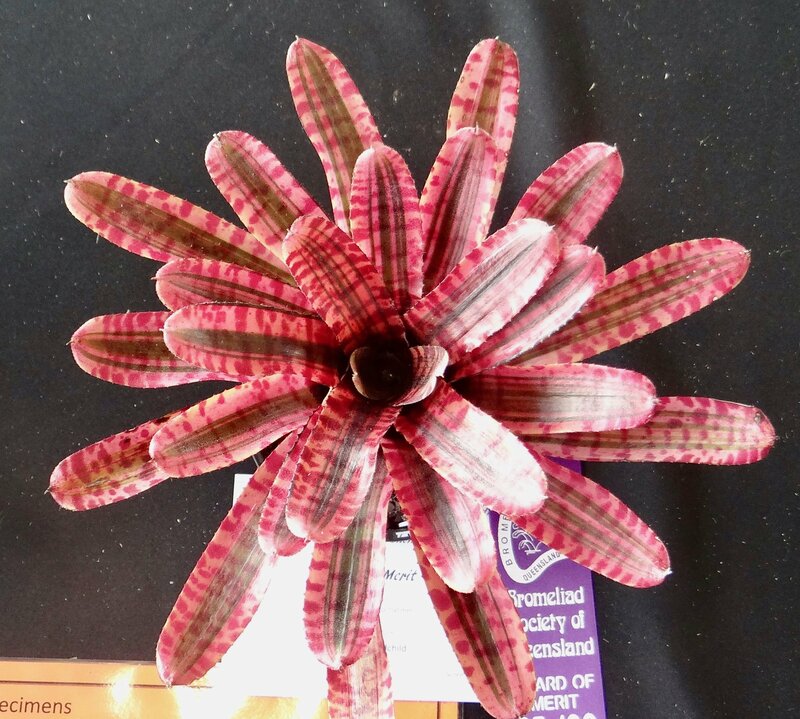 Pam Butler won Award for Best Crytpanthus. 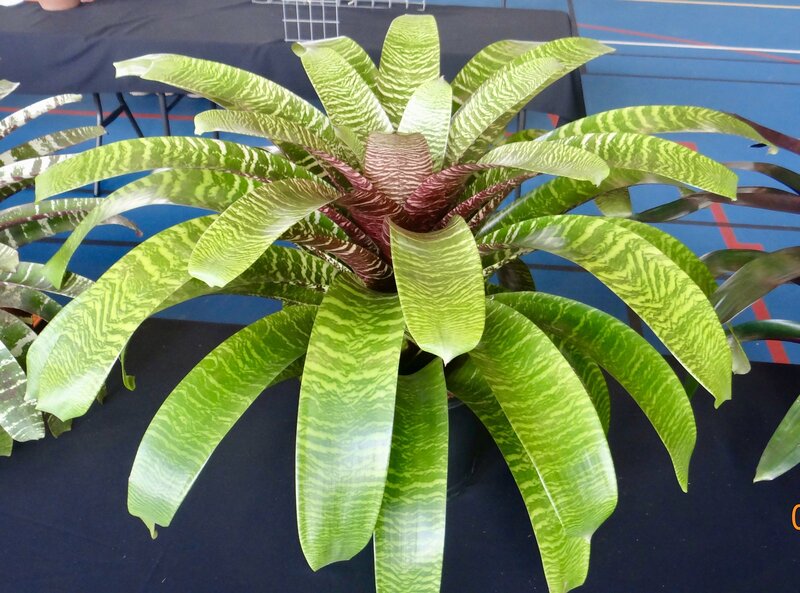 Cryptanthus 'Primrose' was Best Cryptanthus. 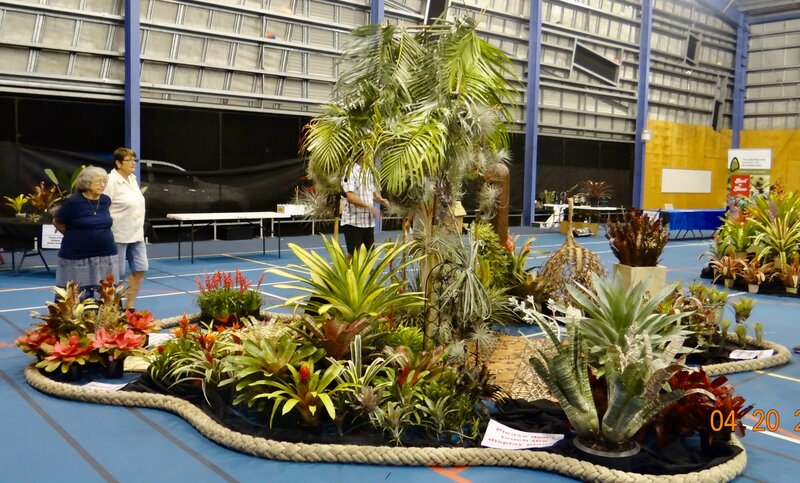 Creative display attracted much interest. 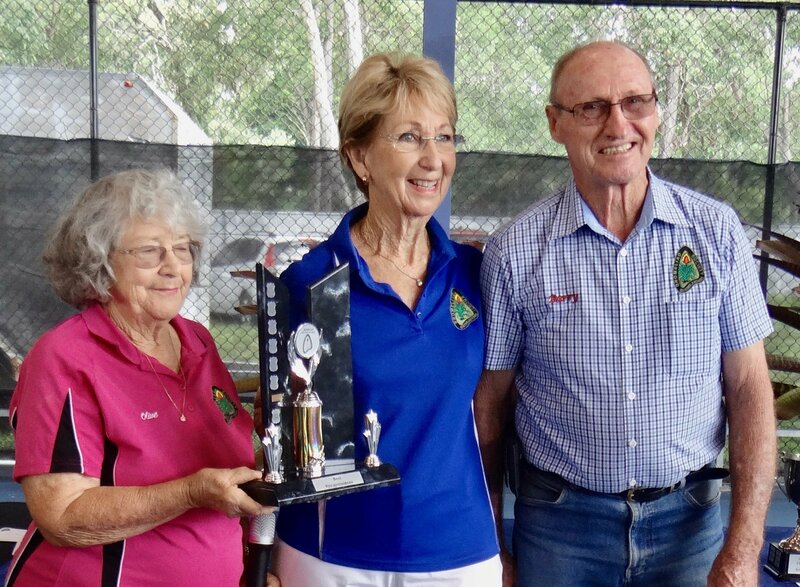 243 Canvey Road, Upper Kedron Brook. 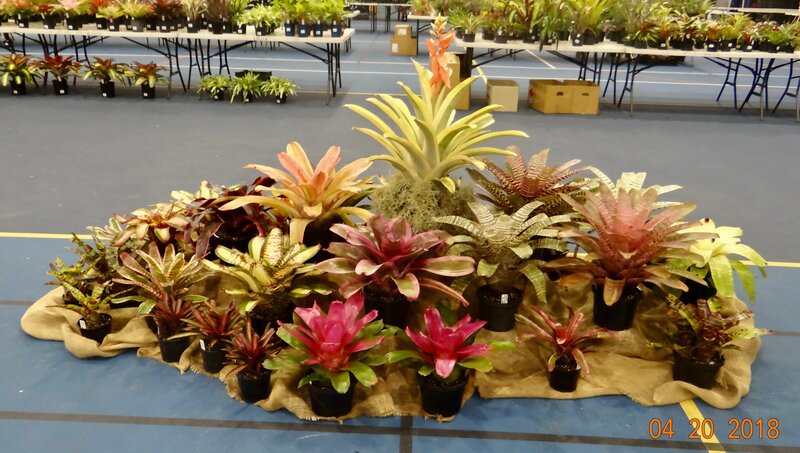 Sunday 6th May 9:30am to 2:30pm. 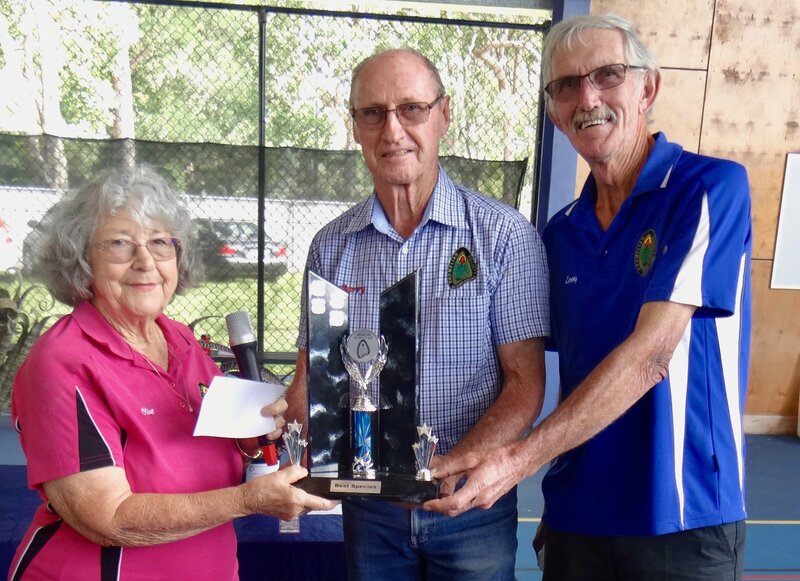 Olive and Len invite members AND spouses.